[UPDATE Sept.9th]: Four retailers in the Netherlands are now accepting pre-orders for the new Samsung Galaxy Note 4 and the price ranges between €795 and €799, or a little over $1K in the U.S. It surely is a premium phone with a premium price. But will you spend that much just to own a phone like this? Original post: Samsung officially announced the fourth generation of its popular Note line of devices at the IFA 2014 event in Berlin on September 3rd. The Samsung Galaxy Note 4 has been rumored for months following leaks of its specifications, design, and features. Needless to say, there was quite a build up in excitement and anticipation especially for people planning to upgrade from earlier versions. This isn't a game changer. In fact, the Note 4 looks almost exactly the same as the previous version except that it has a metal strip running along the side of the phone that matches its color. The company also retained the faux leather removable back cover, which helps improve grip. 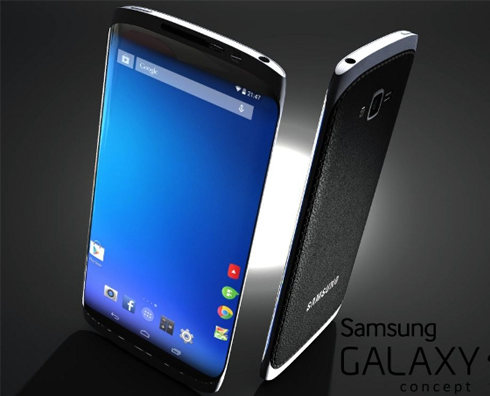 Its official dimensions are 153.5 x 78.6 x 8.5 mm while Note 3's are 151.2 x 79.2 x 8.3 mm. Needless to say, it's longer, narrower and thicker. All camera features of its predecessor were retained like HDR, Dual Shot, face and smile detection, simultaneous HD video and image recording, image stabilization, geo-tagging, panorama, and touch focus. It is apparent, though, that the only way Samsung could improve this aspect is to give the new device more megapixels. Thus, the Note 4 enjoys a slightly higher 16 MP primary and 3.7 MP secondary cameras. Note 3 only has 16 MP and 2 MP. The new Samsung Galaxy Note 4 will come packed with 3GB RAM, which is more than enough to complement a powerful processor. But such is a preparation for Android L that supports 64-bit architecture. It will also have 32GB internal storage and a microSD card slot that can support up to 64GB card. It is yet to be determined if the company will release at a later time variants with higher storage capacity. Placing the Note 4 side-by-side Note 3 would reveal the noticeable difference in the sharpness of picture despite the fact that both use the company's Super AMOLED technology. Apparently, Samsung doesn't want its new Note to go outside the 5.7-inch screen size barrier, at least, for now. With 1440 x 2560 pixels (QHD) resolution stretched over the 5.7-inch screen, the Note 4 has approximately 551 pixel density compared to Note 3's 386 ppi with 1080 x 1920 pixels resolution. The new device will also come in two variants; one bearing Samsung's Exynos 5433 SoC and the other with Qualcomm's Snapdragon 805. Both are basically upgrades of last year's model. The Exynos 5433 has two sets of quad-core processors: Quad-core 1.3 GHz Cortex-A53 & 1.9GHz quad-core Cortex-A57. The model that bears it will be distributed to select markets outside the U.S.
Needless to say, the model that will be carried by most of wireless providers in the U.S. is the one with Qualcomm Snapdragon 405 that has quad-core 2.7 GHz Krait 450. Mobile devices would soon evolve and run on a higher architecture, so Samsung built the Note 4 (both models) with 64-bit support. While the device will be released with Android 4.4.4 KitKat running, it is expected that sooner than later an update to Android L, the first Android version with 64-bit support, will be rolled out. As to the battery pack of the new Note, there is a very slight improvement. When I said slight, I meant 20mAh bump. Yes, the Galaxy Note 4 only has 3,220mAh battery while last year's model has 3,200mAh, which could last 21 hours talk time over 3G. Does it mean that there is unnoticeable improvement in performance that Samsung found it unnecessary to upgrade the battery? No. It means that even if the new device is more powerful than the Note 3, it isn't necessary to upgrade the battery as the new components, especially processors, are way more efficient that they consume less power. While Samsung was all-out in revealing specs and features of the Galaxy Note 4, it remained quiet as to pricing details and availability of the phablet, although, it is expected based on tradition that it will be released later this month and in October for the US market.